LOCATION: 26 NEW YORK AVE. REFERRALS: Smithtown Central School District's Adult Basic Education program works in consortium with various community and state agencies along with the Suffolk Country Dept. of Labor and welcomes referrals from Smithtown High School as well as other surrounding area high schools and business and industry on Long Island. Parents of Smithtown School District's registered ESL students, as well as other adult students who have found it difficult to obtain a school district diploma are encouraged to register for this program. The New York State Department of Education grants an Equivalency diploma to adults who pass the TASC test. TASC TEST: The new TASC test replaces the GED and is similar in structure. The TASC is a timed test of approximately 9 hours, given over a period of one or two days, which measures competency in five subject areas along with an essay component. The test will be gradually aligned to the Common Core State Standards over the next three years (2014-2016). 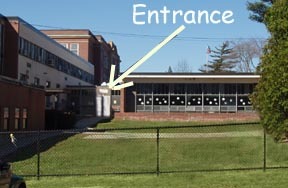 The TASC test will not be administered at the Joseph M Barton District Building, but at various sites on Long Island. Our office processes the applications only for those enrolled in our program. Instruction is conducted on five levels to adults, regardless of native origin, by certified teachers. Focus is on listening, speaking, reading and writing. Each student is individually interviewed, tested, and evaluated by a counselor and/or teacher to ensure proper placement. COMPUTER ASSISTED LITERACY: Study in a state-of-the-art computer learning lab is offered to those adults enrolled in our classes. CD-ROM educational software focuses on skills learned in class, as a supplement from basic to advanced language arts, comprehension and math. Vocational life skills program review is also available in order to meet employment needs and support the Career Counseling component of the program. WORKPLACE LITERACY: Integrated into its adult education and literacy classes are career development and employment training activities. Students experience the world of work on a daily basis via applications, word processing, career videos, role playing, mock interviews and the Crossroads Café life skills series. Case Managers present life skills workshops on such topics as resume writing, interview protocol, the job search, etc. as well as maintain and continually update postings of job/career opportunities. Off-site literacy classes are also available to business and industry. CITIZENSHIP: Information is discussed on how to obtain and file for citizenship, as well as an overview of the basics every student who is a candidate for citizenship should know. RECOGNITION NIGHT: Recognition Night is an impressive event honoring the achievements of Adult Basic Education students. Those receiving the New York State High School Equivalency Diploma (TASC) are honored. Certificates are also awarded to our English as a Second Language (ESL) students who demonstrate a measurable level of competency. CAREER COUNSELING/CASE MANAGEMENT: Available to enrolled students only.